By Jennifer Burcke on March 19, 2012 Visit Jennifer's Website. So much can change in a year. At first glance, 365 days can seem like such a long journey. Yet somehow, when I look back on the last year, I can’t believe how quickly it passed and how much changed as the calendar pages fell by the wayside. One short year ago, we had just begun to experience the joy that was chicken keeping. Our hens had been laying eggs for less than a month. We were hoping to put winter to bed and move on to spring with its extended hours of sunshine and increased egg production. We were still rationing our use of the fresh eggs, trying to reserve them for only the most important egg duties here at 1840 Farm. It was an unspoken rule that our own eggs didn’t get used in baked recipes. We didn’t have enough of them for baking and eating. Choices had to be made and store-bought eggs found their way into our baking. Fresh eggs were reserved for Sunday breakfast, and they made the meal into an event not to be missed. My daughter didn’t mind being tapped on the shoulder and told that it was time for family breakfast as long as there was a sunny side up egg making its way toward her plate. We’ve come a long way since discovering those first eggs. We now have enough eggs for baking and eating. We rarely find need to supplement our heritage breed hens’ egg production. I felt like the period of time when they were molting and egg production halted completely would never end, but it did. They returned to their daily egg laying and we returned to the daily realization that we were lucky to be chicken keepers. Last March, our seven hens were the only livestock living at 1840 Farm. 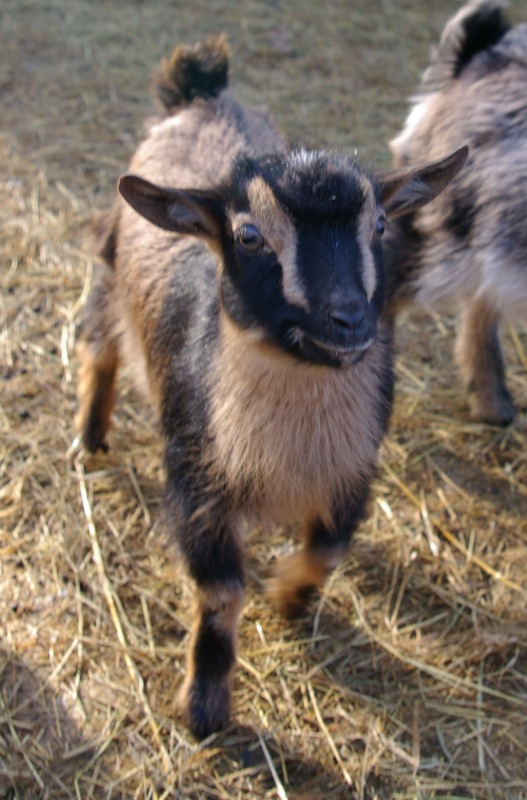 Now we have a small herd of three Nigerian Dwarf dairy goats living in the barn alongside a French Angora rabbit that produces beautiful fiber for spinning and felting. Following the arrival of our first goat kids last October, their mother, Violet, has been providing delicious fresh milk for our family. Her daughter Zinnia is providing an infusion of toddler-like cuteness and comic relief to the barnyard. Last summer we had to overcome the unexpected heat that July brought. 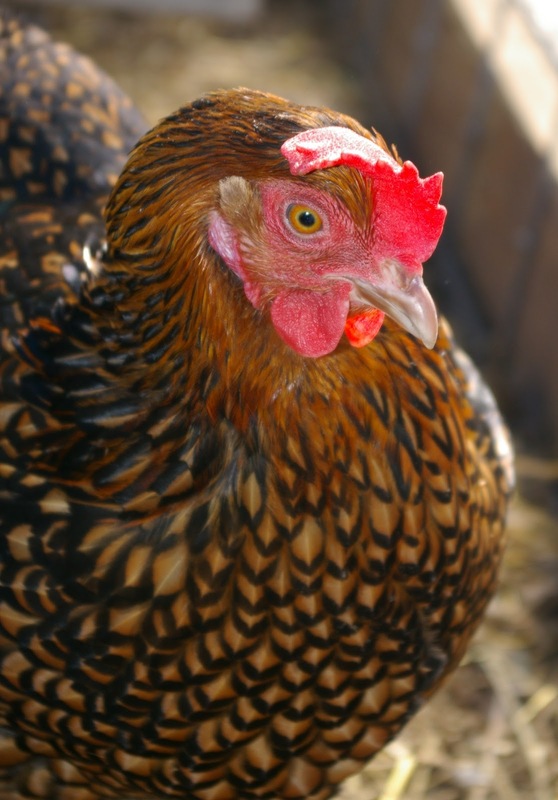 We had known heat while living in the Midwest, but we found ourselves shocked by the triple-digit temperature on the thermometer outside the henhouse door. The hens begged for relief from the scorching heat and happily snacked on afternoon Popsicles to help cool off. While we shouldn’t have to worry about a return of summer heat for several months, yesterday’s temperature of 80 degrees makes me wonder what we might be in for this year. Just in case, I’ll be adding Popsicles to my grocery list. In September, Hurricane Irene came calling and we worried for the safety of the coop and our beloved hens. We listened to her winds batter the world outside and hoped that the coop would still be standing even after we had seen that some of our oak trees and power lines were not. Once the storm had passed, we worried for our sanity as we lived without power for six days. The only bright spot we enjoyed during that time were the fresh eggs that served as dinner every night when cooked on the grill. 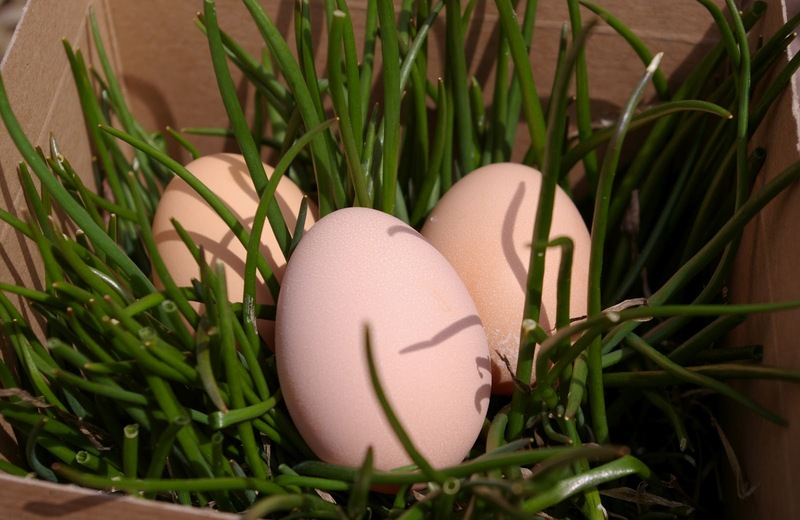 Those eggs reminded us how important our hens had become to our daily lives. They nourished not only our bodies, but our soul. It was a comfort to be reminded that we could provide for ourselves even in less-than-ideal circumstances. It wasn’t long after we had recovered from Irene that fall and the subsequent winter season were upon us. 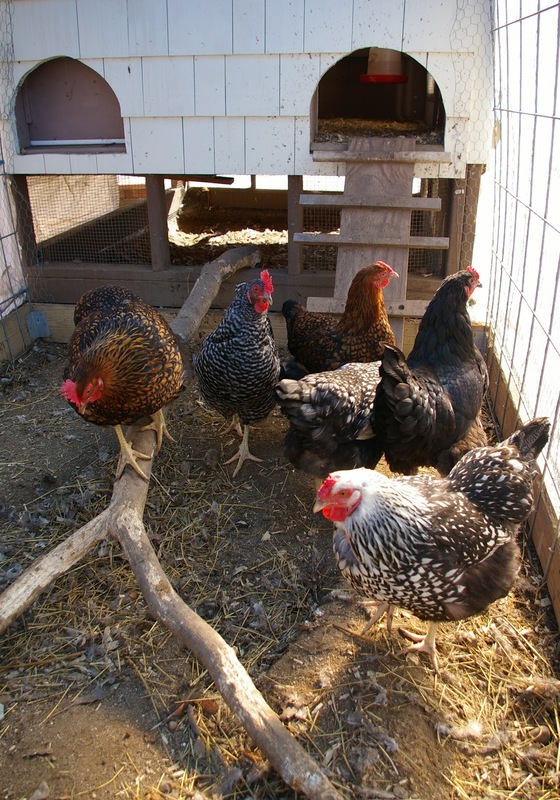 We hurried to finish the enclosed run we had designed for the coop and hoped that our girls would be able to enjoy being outdoors even in the cold and snowy weather that New England winters are famous for. We completed their run and fitted it with a water-resistant tarp. They have been treated to an entire winter season outside without having to endure the snowy earth that encompassed their coop. Today, I sit here writing this post on the eve of the 2012 Vernal Equinox, ready to greet spring’s arrival with open arms. Soon the hens will be ready to spend lazy hours in the sun playing in their sandbox beneath the coop. The goats will stretch their necks skyward to feel the sun full on their faces in what can only be described as a goat’s interpretation of the sunrise salutation yoga pose. Before I know it, the day will finally arrive here in New England when it will be time to ready the gardens and plant the seeds that will provide for our family’s summer harvest. While these routines seem, well routine, this spring will be far from ordinary here. In addition to the first day of spring, there is another day highlighted on our farm calendar. Monday, April 30, 2012, is the day that our baby chicks are expected to hatch. May Day could prove to bring big excitement in small, fluffy packages to 1840 Farm. We have high expectations for these new chicks. They will need to make our farm their home, make our coop their domain, and make friends with the seven hens who have been living there for over a year and a half. They’ll have to find their place in our flock and, more importantly, a place on the roosting perch at night. It’s a lot to ask of an animal that will weigh less than an ounce when it makes an overnight journey to our front door. While we’ve taken care of baby chicks before, this experience will be different. My children are nearly two years older and much more involved with our chicken-keeping tasks. We have several new breeds of standard-sized heritage breed and bantam chicks that will be making their first appearance here at 1840 Farm. We’ll have to manage the delicate act of introducing new birds into our current flock and hope that everyone can find their place in the pecking order without having any casualties. This year is sure to teach us innumerable lessons about chicken keeping along the way, and I plan on sharing them all with you. In fact, I’ll also be using this year to learn more about products made for chicken owners just like myself. I will be reviewing several products that I hope will enable me to better tend to the needs of our growing flock. In the product reviews, I’ll have money-saving coupon codes, contests and product giveaways to share with you. There are several chicken projects that will be constructed here at 1840 Farm this summer. I’ll share step-by-step instructions so that you can make your own version to use with your flock. I’ll also be revisiting the Boredom Buster to see how I can make it the perfect way to cool down your flock during the hot summer months. I hope that you’ll join me over the next 12 months to see what A Year in the Life at 1840 Farm will hold for our new chicks. There will be daily updates on Facebook and recurring posts for CommunityChickens.com to share what I learn along the way. I’ll be using our BirdCam to catch photos and videos of our flock members both old and new to understand what goes on in the coop when the farmer is away. I can’t wait to see what the next year has in store and share it all with you. While our coop doesn’t have a welcome mat, the welcome sign is hung and ready to greet new residents and new visitors alike. Welcome one and all to the coop at 1840 Farm. Do you have a product that you would like for me to review during the next year? Leave me a comment and I will add it to the list of potential products to be reviewed in the Year in the Life series. To make sure that you don’t miss any of the excitement, giveaways or unending supply of cute photos of baby chicks, follow us on Facebook to read the daily news from the coop at 1840 Farm. You’re always welcome at 1840 Farm. Visit our blog at www.1840farm.com. I am guessing that you are referring to our Golden Laced Wyandottes. They have beautiful black feathers with gold edges. 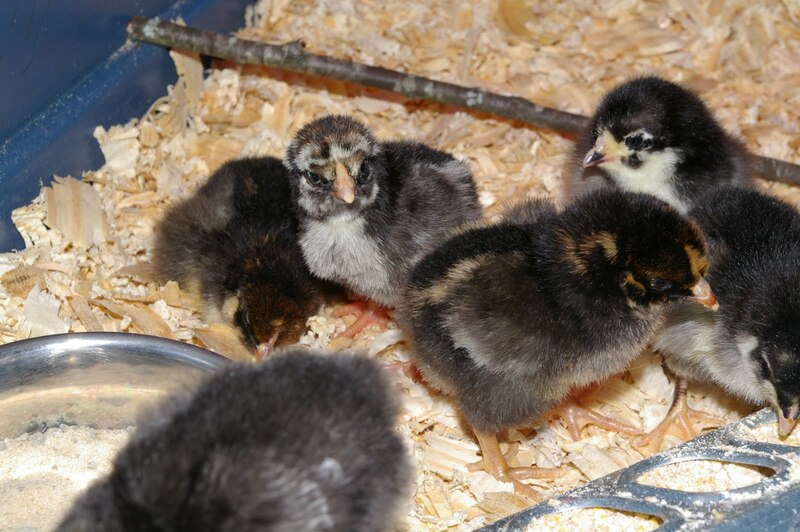 We also keep Silver Laced Wyandottes, Plymouth Barred Rocks, and a Black Australorp. I am glad that you enjoy the blog. Keep reading – there will be a lot to read about our new chicks this spring! Love your blog! What breed of chicken are the two brownish ones in the picture? I have a hen that looks just like them. Bayouwoman, I am glad to hear that you are enjoying the posts. 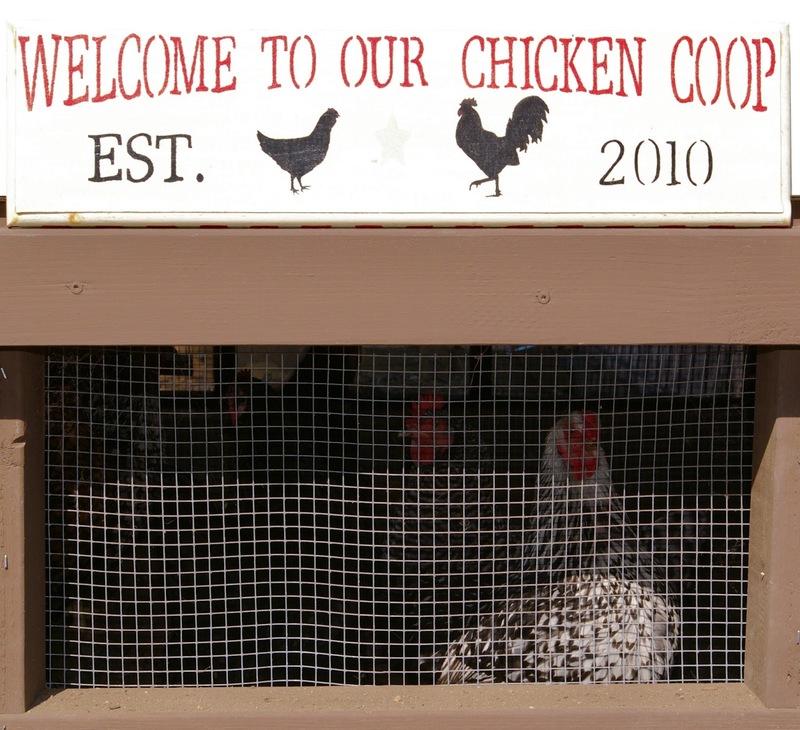 Asking me to choose between Community Chickens and 1840 Farm is like asking me if I prefer chocolate or red wine. A truly impossible choice. I hope that you will continue reading both! If you want to be able to choose from all of my posts (no matter where they appear) be sure to like 1840 Farm on Facebook. 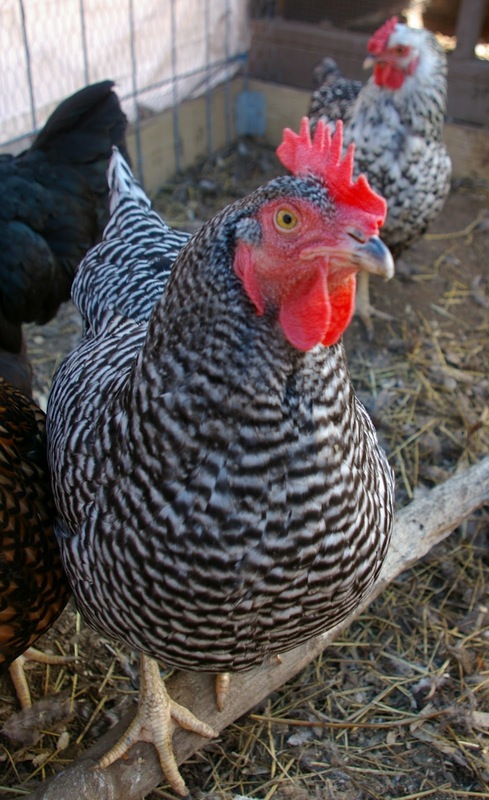 I post daily updates from the farm as well as links to every story I post on the Community Chickens site and the 1840 Farm blog. That way you won’t have to miss any of them! I’m with bayouwoman. I also enjoy these articles, but have no idea how I started receiving them in my e-mail last month. Probably some WordPress update. I’m not sure how I started getting your articles via my email, but I’m glad I did. 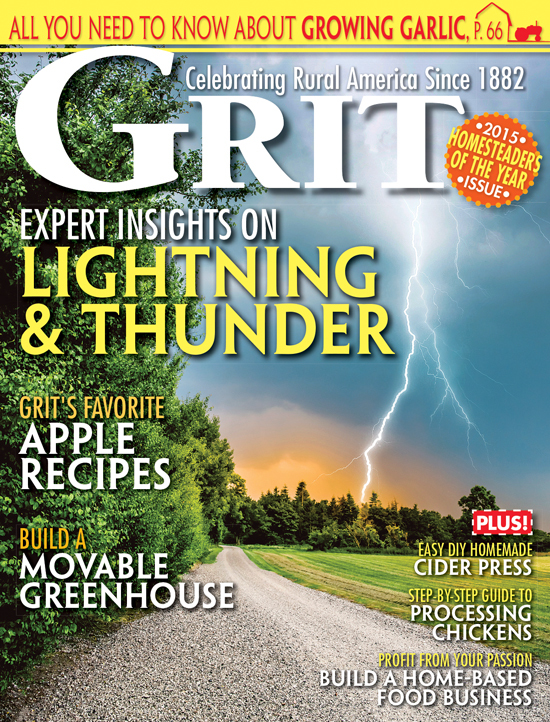 I was wondering, Jen, if I only have time to read one blog, should it be this one or the 1840 Farm one at WordPress? I would like to invite you to come visit me down the bayou, in South Louisiana, at bayouwoman.com. While I don’t have lots of chickens right now, I do have two baby owls in the oak tree!!! (enemy to chicks, I know) but my chicks are safe in a “chicken tractor”!!! And one more question — a couple years ago, someone posted an article of how they used 5-gallon plastic buckets as nesting boxes. Do you know where I can find that how-to again? Linda-I’m so glad that you enjoyed it. Feeding our hens fruit juice popsicles and frozen berries really helped them to cool off during the brutally hot weather last summer. I’d love to hear how your hens react when you give it a try. Thanks for the link to your popsicle post. I bookmarked it for future reference!